“Live a Happy Old Age”. One sentence that depicts the healing lecture tonight. Imagine yourself with your husband or wife standing on a beach waiting for the sunset and holding each other’s hand in your 80s? I repeat in your 80s… (just like the photo on the left) Picture yourself seeing your children helping and raising each other up to achieve their dreams in life. Imagine what it would be like if you see yourself enjoying the fruits of your labour? Buying whatever you like under the sun. Travel to places you have not gone when you were still working. Taking your grandchildren out for a bite without thinking about how much money you have in your wallet. There were two questions that we contemplated during the retreat. For the children, were you able to give your parents (living or dead) a happy old age? For the parents, will your children give you a happy old age? These are challenging questions that made us think, how we can achieve it? 1. We need to take good care of our health. Would it be wonderful to use our hard earned money and other passive incomes traveling to places we wanted instead of spending it buying our medicines because of our sickness? We cannot enjoy the fruits of our labour if we are incapable of enjoying it. Fr. Arlo taught us to have balance in everything. The way we eat, the way we drink alcohol; everything should be in harmony as the way he says it “Alalay lang.” (Do it moderately.) If we can remove our vices, it will be more fulfilling. Remember what we are today is a product of what we have thought before. What we think is what we become. So if you are suffering from illness today, it is the result of what we thought and did before. 2. We need to take good care of our family. You might believe that education is our legacy to our children. On the contrary, it is a fulfillment seeing our children helping each other and working together despite of any educational attainment. Getting your children to finish their education is just your trophy. We feel sorry for the family wherein all children are highly educated but are fighting over money and pulling their siblings down. a. Our children have unique skills and abilities. In this context, we need to instill to our children especially when they are young that each one of them has unique talents and abilities. If we compare one from the other, this will just result to envy and identity crisis as the child grows up. In addition, we need to nourish the great responsibility of the eldest child in the family. As Fr. Arlo put it “Sanayin ang panganay na manganay” (Practice the eldest to be a leader), this simply means that the eldest is the 3rd parent of the family, therefore, he/she needs to have a responsible attitude towards his/her siblings. That he/she is accountable for them if the parents already left this world. If this not achieved, the sibling who has more money is the one who has the control over the family. b. Make your children survivors. Fr. Arlo gave some pointers on how to make our children smart. Before, we say that the attribute of a good child is being silent and does not run around. Today, because of our busy life, we describe a good child as the one who is smart or we can say “marunong dumiskarte”. As an OFW, maybe some of you may relate to this, we tend to give whatever our children want as a replacement to the time we lost being away from them. In my opinion, we need our children to realize that in the real world, you don’t get things for free. You need to earn it and work for it. Another example is, when your children went into married life, do not let them live with you. Why? so that they will value how hard married life is. In other words, so that they will not be dependent on you. As written in the Bible, “Train up a child in the way which he should go and when he is old he will not depart from it.”- (Proverbs 22:6). And the remarkable way is training them to be survivors. c. If you will discipline your child, do it one on one. According to the Scriptures, “If your brother sins, go and tell him first his fault between you and him alone.”- (Matthew 18:15) It is imperative that we correct our children in a one on one manner so that they will more likely to listen and realize what they have done wrong. Unlike when you scold them in front of everyone, they will feel embarrassed, they will not likely to listen and will not likely to change. It is hard for a parent to resist in correcting our child immediately when they commit a wrong doing, but if we can do it alone with him/her, instilling them our point to not commit such act again in the future will likely be successful. Doing it in front of everybody however, the child will result to become naughty and silly and sometimes loses self confidence. I will make this a two-part article for you to digest more the concept of the healing of family relationship. Over information may lead to neglection and I would like you to contemplate on the issues I shared to you above which was all discussed by Fr. Arlo on the 2nd day of Misyong Pilipino. 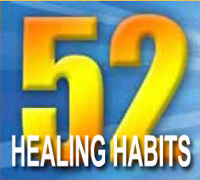 Tomorrow’s topic will focus on relationship healing between ourself and the people around us. If someone hurt your feelings and you wanted to get even. If you feel that you are alone in the world and all your friends have turned their backs on you. If you have a boss that is obscure and fuzzy and looking for faults is his/her favorite job. The upcoming healing lecture will tackle how we will approach such situations. We will be enlightened once again towards our journey in becoming whole. Reflection: What will you pray, have a long life or have a happy long age?